If you believe in ghosts or hauntings, you certainly aren't alone. Millions of people believe in ghosts or that traces of a human being can remain after death to haunt the area where they died or where they once lived. 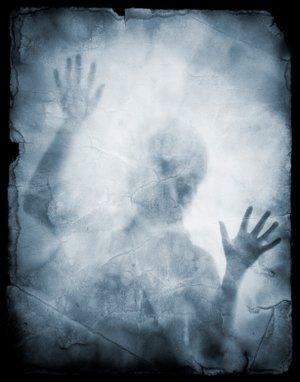 Ghost stories are found around the world of malevolent and benevolent spirits haunting people or places. Nearly every culture on the planet has developed some concept of life after death. The ancient Egyptians believed the spiritual soul carried on life on another plane, and that people could even take their material possessions with them when they died. Today, that "take it with you" train of thought has mostly been discarded. Still, many people believe that the deeds you do during this life determine which kind of afterlife you'll have. As the theory goes, you'll be rewarded if you've lived a good life. If you've lived a thoughtless or destructive life, your soul could wind up somewhere unpleasant for the rest of eternity. Some cultures hold an alternative belief that life is a journey toward true enlightenment, and that people live many lives until their soul reaches perfection. This is the basic premise of reincarnation. No matter what your personal beliefs are, there still remains the question of exactly what is a soul. Most people who study the paranormal theorize that a soul is pure spiritual energy that is released when the earthly body dies. That energy is then free to move on or remain as it wills. Spirit orbs are just one example many investigators use to explain how souls or "ghosts" manifest themselves after death, but there are many accounts of full-bodied apparitions to add to the rest of the anecdotal evidence. Have you ever lived in a haunted house or experienced strange noises in the night? Do you believe in haunted houses and locations? According to a 2005 Gallup poll, 37% of the population believes in such paranormal events. Modern day accounts and stories throughout the years report many thousands of first hand experiences with such phenomenon. Hauntings sometimes affect a location such as an old cemetery or historic battleground. More commonly, they affect homes and businesses where people work and live. A haunting is an assortment of seemingly unexplainable events that often appear to be paranormal in nature. A location is considered "haunted" when many of these apparently paranormal events occur often, many people witness them, and they cannot be explained by any natural causes. Here in the Ghosts and Hauntings category, you'll find articles about parapsychological research being done in the field to add to what's already known about spirit phenomena. You'll also find stories about famous cases of ghostly appearances, both reportedly real and strictly fictional. You can also share your own ghostly experiences in the comments box on any page. Be sure to visit often to find out what's happening and catch up on the latest paranormal news.